The rain didn't completely go away on Sunday - but it did share the day with us. After a straight shot west on Route 23 from Hudson, NY- in the pouring down rain - I turned right onto Route 10 - in the bright sunshine - in Stamford, NY and continued until I reached my friends Rita and David's picture-perfect home in Jefferson. The occasion for the visit - besides visiting my friends, at their country home, who I was accustomed to seeing with a kind of regularity when I lived in the city - was to visit with their daughter and grandchildren who now live in Uganda. Zoe, her husband, David and their 3 children visit the States twice a year and it's my pleasure to see them, and watch the kids grow up and acquire a kind of British colonial accent. I arrived in time to have an hors d'oevre selection of cheese from the nearby Harpersfield Cheese Co. Sunday's choices included raw milk, jalapeno, and black peppercorn. The Brovettos - who own the dairy use Tilsit - a German, semi-firm cow's milk cheese that's tangy in a mild way, and fruity in that it's a welcome host to whatever other flavors are added to it - and there are many - as the basis for their cheese. In Hudson, Cheese! at the farmers' market sells one that's aged in Ommegang ale (from the famed Cooperstown brewery). But wait, here's the really cool part of this cheese story. My friends have acres and acres and acres of fields of hay on their property. The Brovettos mow it, bale it and feed it to the cows who give the milk that makes the tasty cheese. Lunch was served in a screened-in porch that overhangs a garden chock-a-block filled with hostas and the rest of the backyard view - it feels somwhat like sitting in a treehouse. The table was draped in fabulous East African, purple and green tie-dyed cloth that provided a stunning background for John Derian for Target leaf-patterned melamine plates. (you may have noticed that last week, my outdoor table was set with the same ones - they are the perfect outdoor plate - and unfortunately they are no longer available - except maybe on eBay), and John Robshaw grass green napkins. These necessary accessories set off a generous offering of food, the ingredients for which came from the Oneonta farmers' market and Rita's garden. There was selection of meat from various Oneonta market vendors that included pork hot dogs, spicy lamb sausages and ground beef for grilling into mini-burgers. Zaide's Potatey Salad - made from several varieties of potatoes grown by zaide, or grandpa, David in his potato patch, green beans from the garden and freshly pounded pesto. David's potato patch is guarded by a folk-art goat sculpture made by neighbor, John Jackson. Rita's Cole Slaw was made with finely shredded cabbage and carrots, grated fresh garlic and dressed with half and half, a bit of mayonnaise, a whisper of sugar, salt and pepper. Make it at least an hour before serving to give it time for the flavors to marry. Steamed corn on the cob and sliced tomatoes completed the quintessentially summertime meal. Our post prandial entertainment was provided, pond-side, by various swimming children and Frankie, the Golden Retriever who felt that it was her duty to stay close to those kids. She was, in fact, their own personal life guard. Not that she needed an excuse to stay in the water (she was born to swim) - unlike Allegra who goes in up to her knees only in order to chase frogs and bite the water. At some point, after picking warm-from-the-sun raspberries, we returned to the porch for dessert. I made the summer cake - already photographed for this blog - and recipe included. The cake was served with vanilla ice cream. Sound like a day that you might see described and photographed for a glossy magazine? It was. But, even better - we were there. Lagniappe - or, what has Allegra's rapt attention? 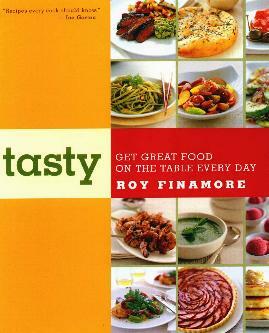 SUSANSIMONSAYS: Come and meet legendary cookbook editor, and James Beard award-winning cookbook author himself, Roy Finamore at the Hudson Farmers' Market, Saturday, August 4th. Roy will be signing copies of his classic books, "One Potato, Two Potato", and "Tasty", from 10:30am - 12:30pm. 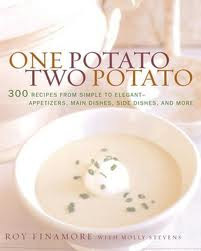 I will continue to remind you that everyone loves a cookbook as a birthday present or to celebrate a winter holiday.